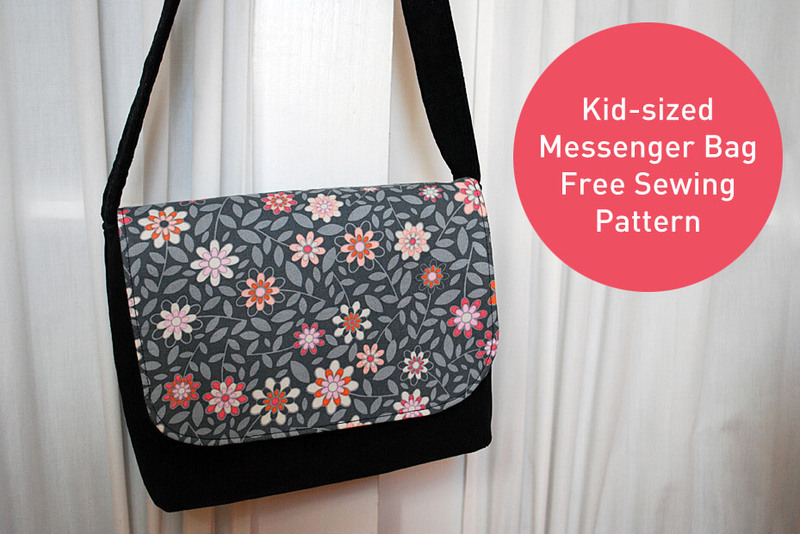 This free child-sized messenger bag pattern is the perfect shrunken size for the special kid in your life. 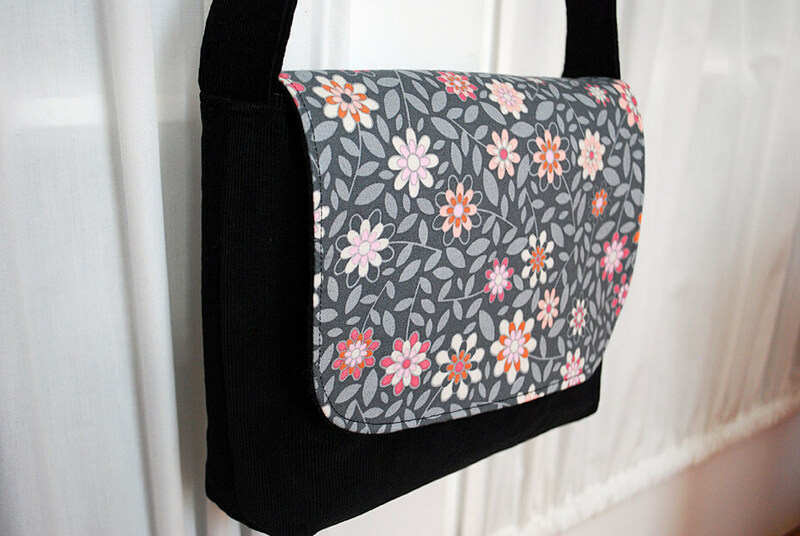 Make this DIY kids messenger bag free sewing pattern in a couple evenings. This kids messenger bag free sewing pattern is a variation of my free bridesmaid’s handbag sewing pattern and my free shoulder handbag sewing pattern with the bird silhouette. I was pressed for time so left out interior pockets and such but if your kid wants a couple of interior pockets in the messenger bag I can show you how to add those in too. 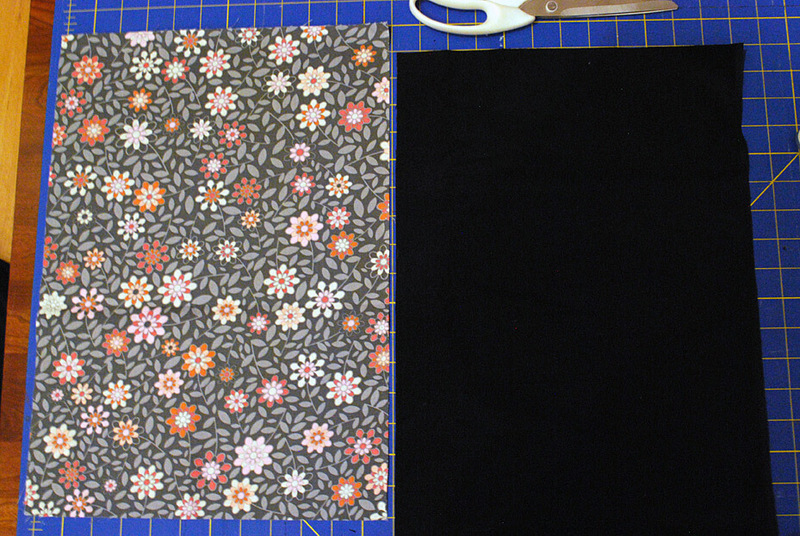 I made the kid’s messenger bag outside in black corduroy with a floral flap and lining. 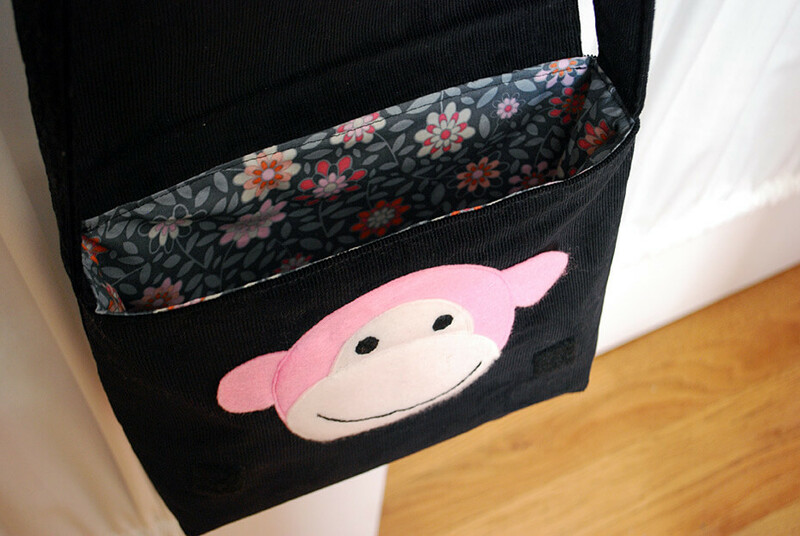 And you know that I like to add a little whimsy in my patterns here and there so I made peek-a-boo mini-portrait of Elise’s beloved pink monkey under the flap. Elise loves lifting the flap and seeing the homage to her best pal. I used to sew handbags. A lot of handbags. Sold them with my friend Heather at Chicago boutiques and craft fairs out of recycled t-shirts and my precious vintage linen calendars. And then I burned out. I didn’t want to be saddled to just handbags. And I realized that my favorite part was actually dreaming up and figuring out the bag patterns …not sales and production. So I gave it up and started merrimentdesign.com and shelved all my handbag patterns in the back of my craft closet. But here and there I’m dipping back into my old handbag stash and I will share my bag sewing patterns here at Merriment Design for free. What type of bag pattern would you like to see next? WANNA MAKE IT? Keep reading to for my kids messenger bag free sewing pattern, step-by-step tutorial and supply list to sew a child-sized messenger bag. 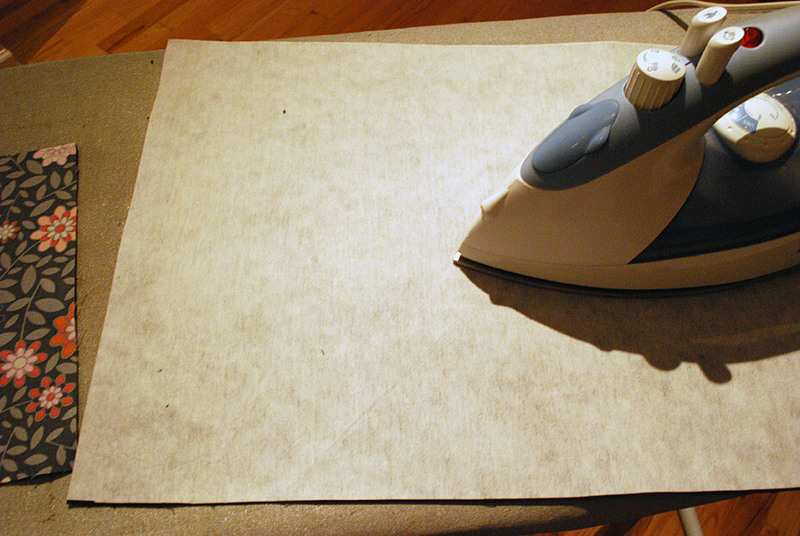 Iron on your interfacing to the wrong side of the bag outside. Fold your bag outside piece in half to make a rectangle. Draw teeny rectangles in each corner along the fold, 1″ tall by 1-1/2″ wide. This is going to make your messenger bag bottom. Carefully cut out the marked rectangle from each corner (which is actually a larger rectangle because you’re cutting across the fold). 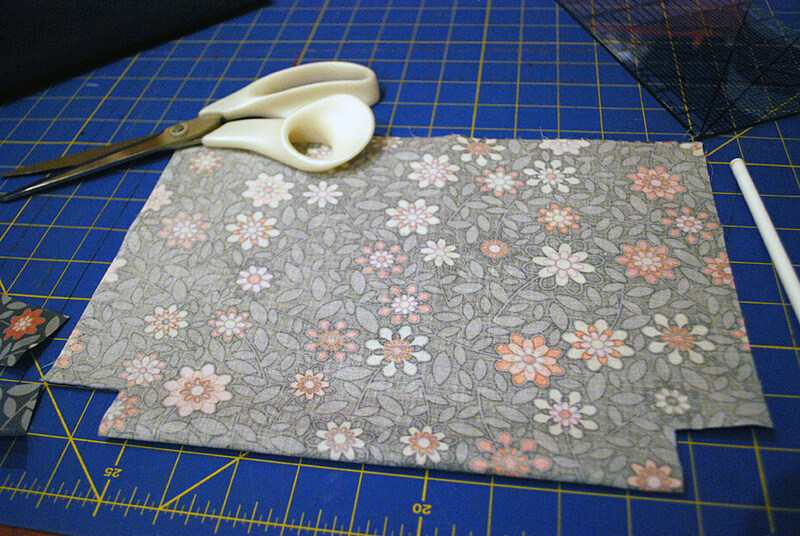 Repeat the folding, marking, and cutting on the lining piece of your kid’s messenger bag. Now if you’re going to add an interior pocket, this is the time to do it. Go to my bird handbag tutorial to add any interior pockets. Any questions, let me know. Now let’s sew up the lining. 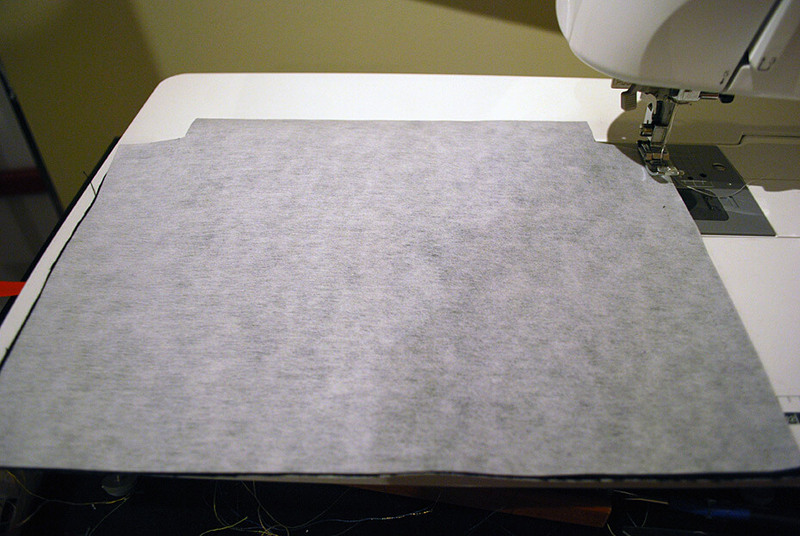 Sew the left and right sides of the lining using 1/2″ seams, making sure to leave both the cut out rectangles at the bottom and the top of the messenger bag lining unsewn. Iron the seams open. Pretty. Now this is the magic part. 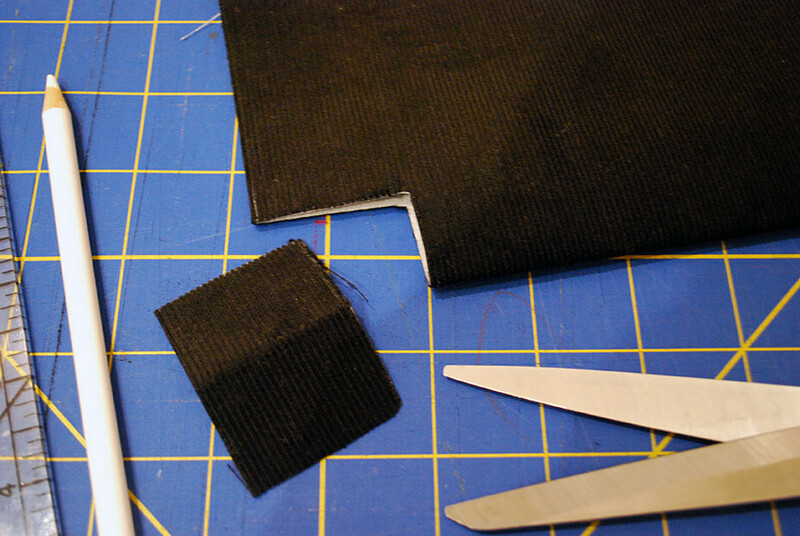 Squeeze the unsewn corner rectangles into a flat sandwich with the seam in the middle. See how it’s making a bottom? 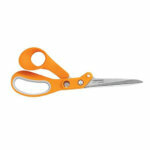 Sew 1/2″ from the raw edge to secure. Repeat on the other side. And here is your lining bottom. Let’s move to the messenger bag outside …but first, I’m going to add in a surprise for Elise. 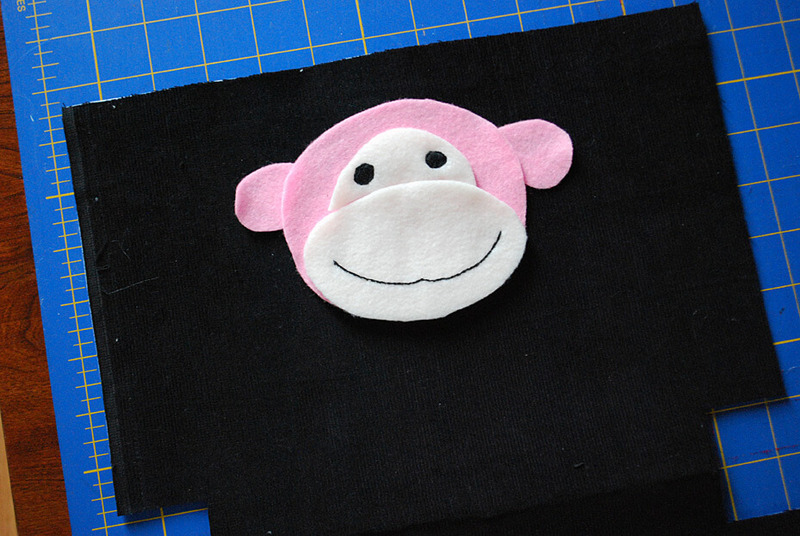 Here’s how to make an optional peek-a-boo monkey or any other special friend that your kid would like to see. Now alternatively, you could put an exterior pocket here if you’d like, just see my medium shoulder handbag free sewing pattern to see how to make a pocket. 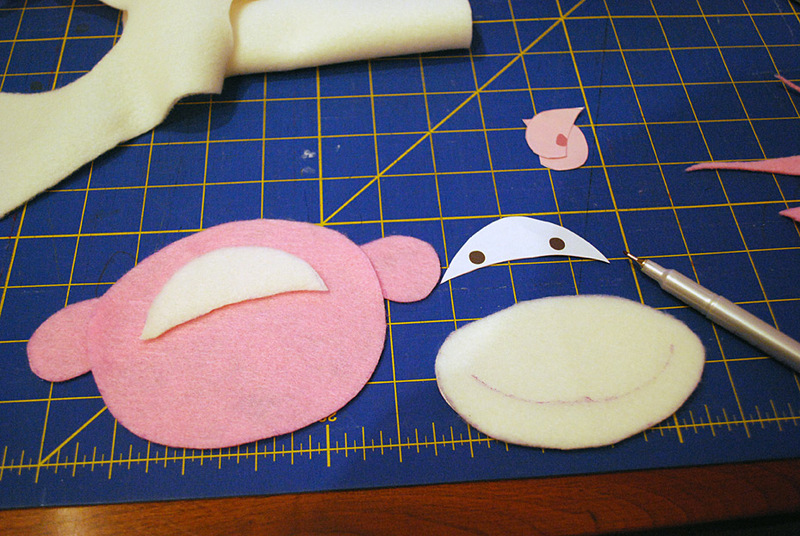 Cut out your special friend from felt. 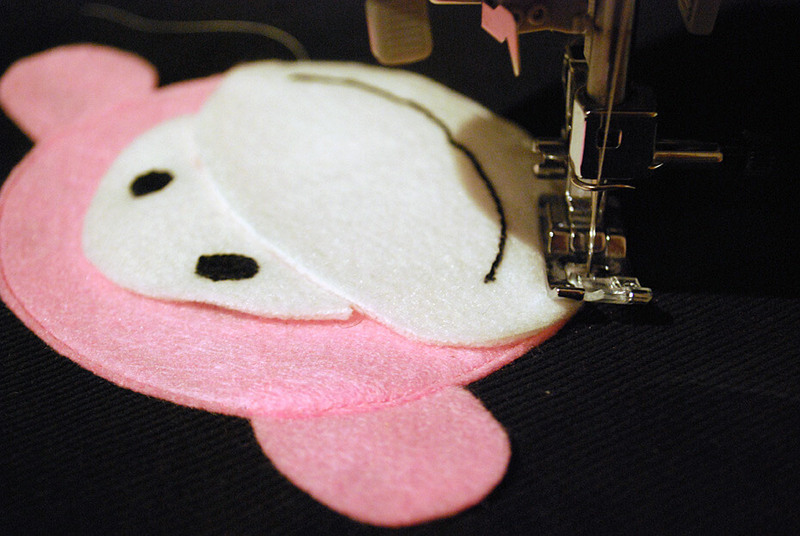 Mark the mouth and use embroidery thread to make a smile. 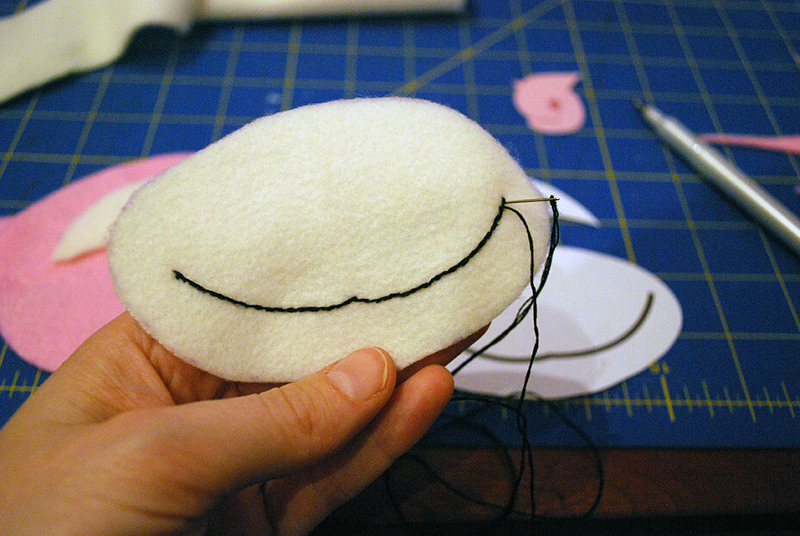 And fill in the eyes using embroidery thread like I did here and also on my Halloween no-sew felt and VELCRO One-Wrap bracelets. 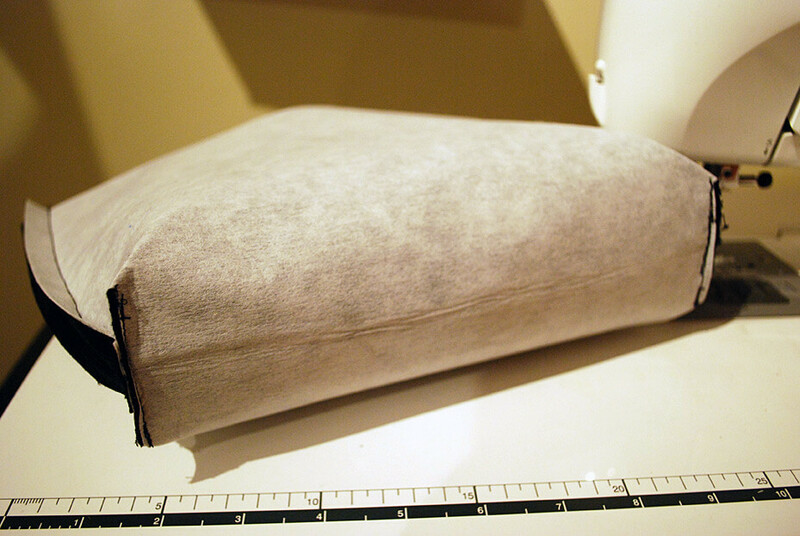 Place it centered on the bag outside piece about 1″ or 1-1/2″ from the top edge. 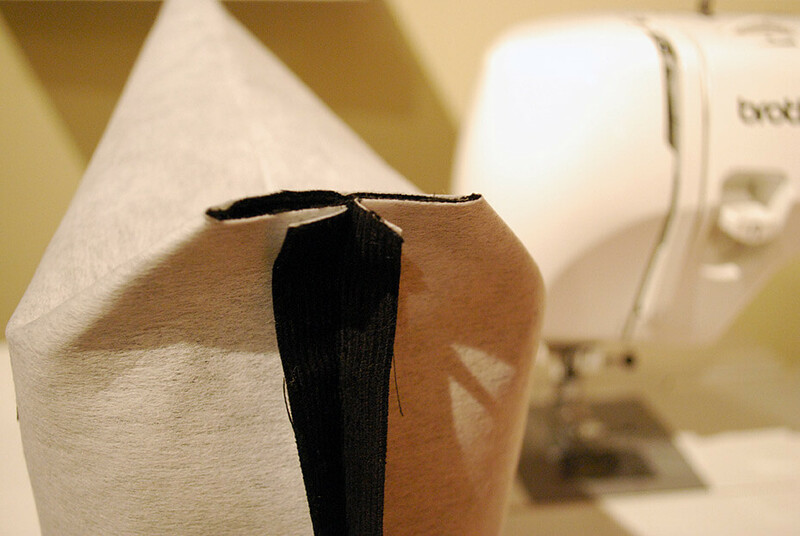 Sew close to the edge of the felt pieces to secure them to the bag outside. I left the monkey ears loose on the sides. Now fold the handbag in half right sides together. 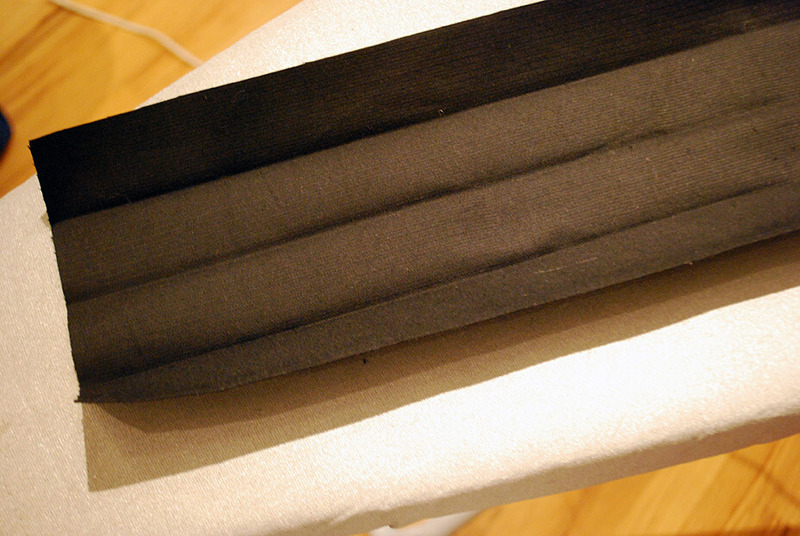 And sew 1/2″ seams making sure to keep the cut rectangles and messenger bag top unsewn. 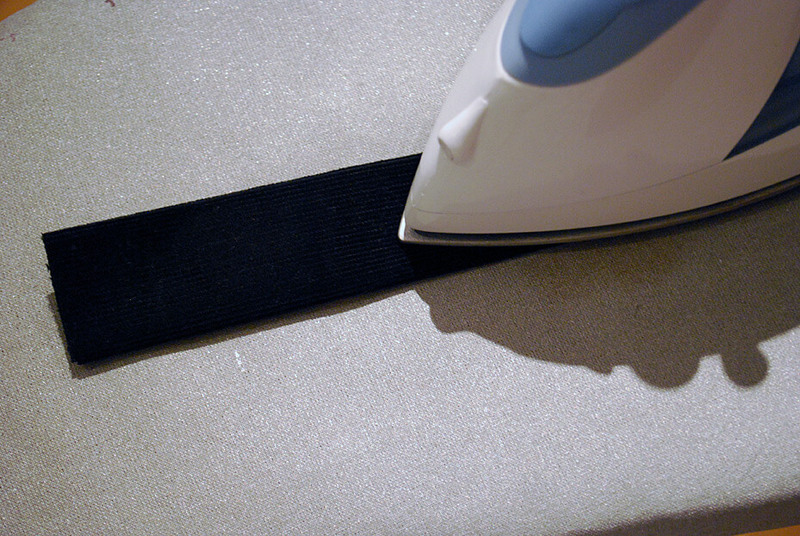 Iron open the seams. Sounding familiar? 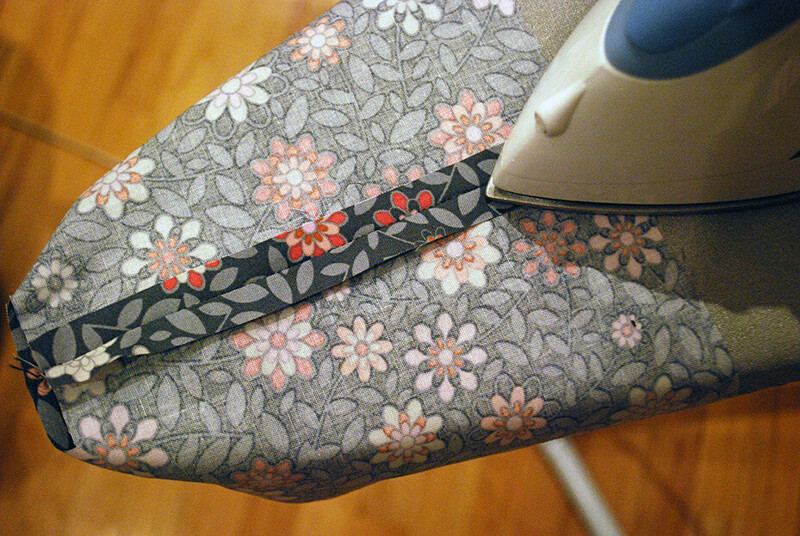 Pinch the cut rectangles together with the ironed seam in the middle. And sew to close the messenger bag bottom. And here’s your handbag bottom. Turn it right side out. Hi little Pink Monkey! 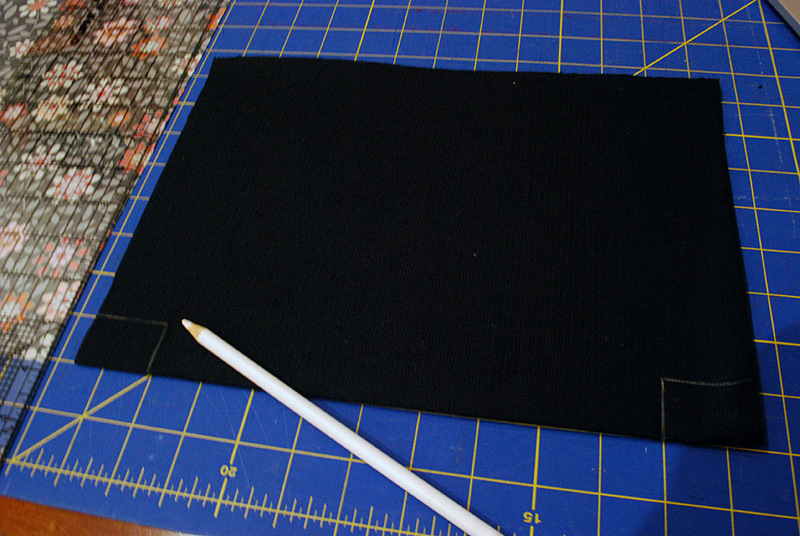 Cut one 26″ x 8″ long rectangle for the strap. (NOTE: Measure your child and add or subtract strap inches as needed). 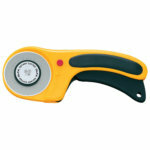 Fold the strap piece together length-wise and iron. 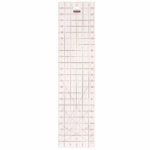 The strap piece is 8″ wide so after you iron it you’ll have a 4″ width piece. 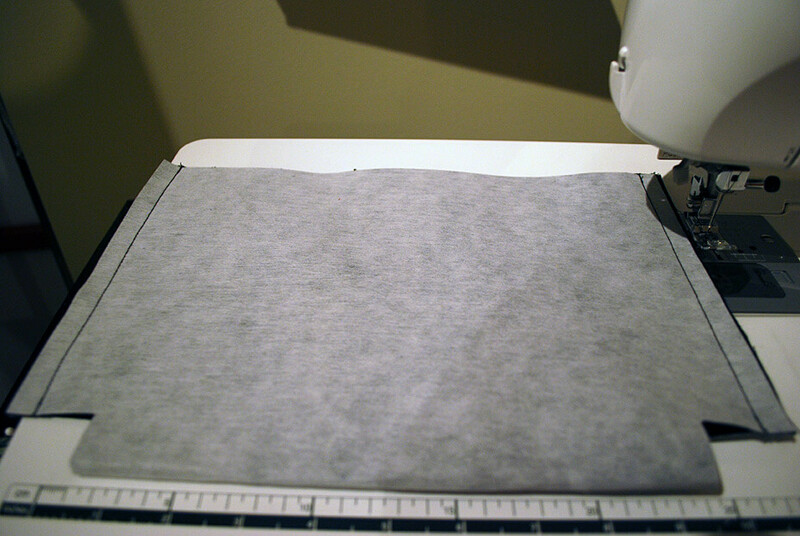 Now open up the ironed edge and carefully fold the sides in half again. This will make a 2″ strap. 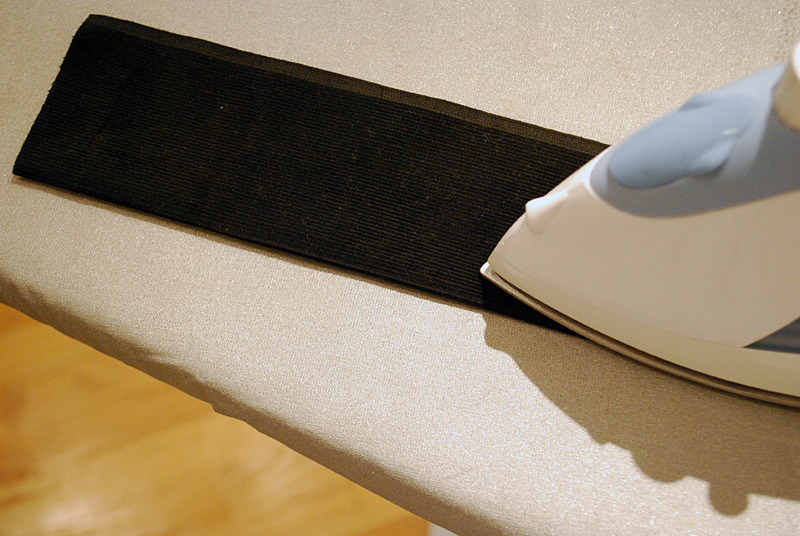 Iron it all as flat as you can. And topstitch close to the edge all sides around the messenger bag strap. Now you’re going to attach the strap to the bag. Line up the raw edge of the messenger bag outside together with the raw edge of the strap, with right sides together (just pick on of the strap sides to be the right side), and pin. 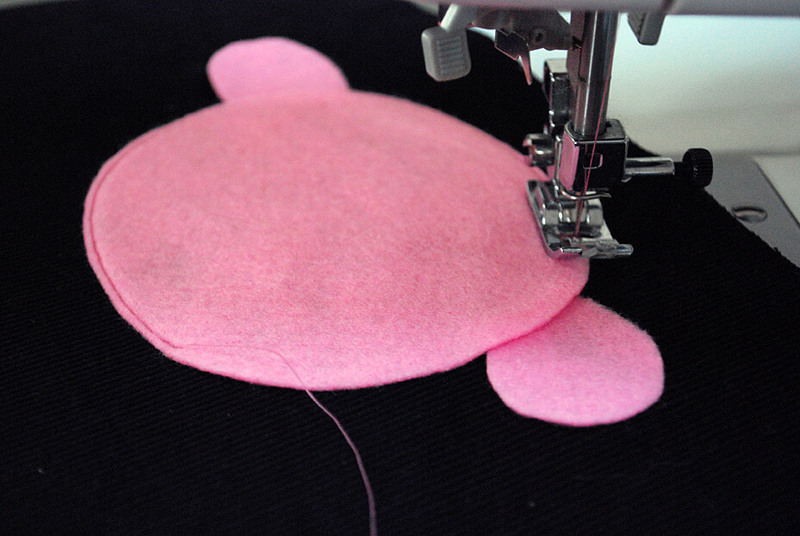 Sew 1/4″ close to the edge back and forth a number of times to make sure it’s really secure. Repeat on the other side. There’s a better photo of this on the “Make Straps” step of my Baby Bird Silhouette Handbag tutorial as I forgot to take a photo for this bag. I love it! Especially the hidden monkey. I think I know just who to make one of these for. 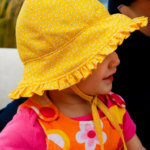 Thanks for the sweet pattern I am going to try it and make three of them for my granddaughters in Valentine colours. Wish me luck! Thanks, Jane! Would love to hear what you think of the pattern and instructions. And would of course love to see photos! Hi @Farzana, the final measurements are 9 inches wide x 7 inches tall x 2 inches deep. How did I miss putting that in the original post? Ah, the hazards of working after the kids are in bed (and when I should be, ha). Would love to hear any feedback you have about the pattern! 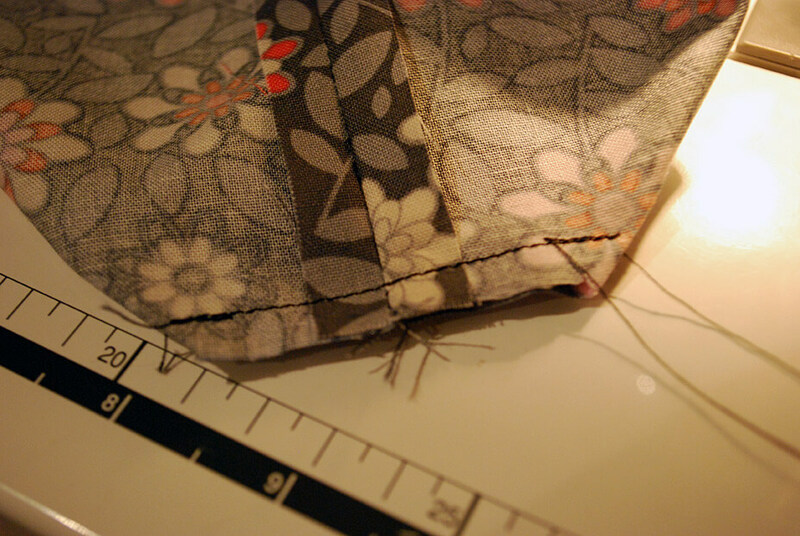 In Step 6, you said ‘Place the flap pieces together, wrong sides together, and sew 1/2″ inch seams (making sure to leave the top edge unsewn so you can turn it) and clip the curves’. Did you mean ‘place the flap pieces together, RIGHT sides together’? Right sides instead of wrong sides together? @Juanita, thank you for finding that typo! You’re totally right, I’ve fixed it. I’d love to see your finished messenger bag! Please send me a pic on facebook.com/merrimentdesign or twitter.com/merrimentdesign Thanks! I love your site and going to try more designs. Hi Bhavini, very happy to hear from you, and I’m glad that your niece liked the messenger bag! Looking forward to seeing what you try next. Thank you! I loved the instructions. I made a great bag. Thank you so much for this pattern.. I just made it for my nephew with Disney Cars fabric and black corduroy! It turned out so cute and thank you so much.. I will blog about my bag and I pinned your tutorial! Thanks Faiza! 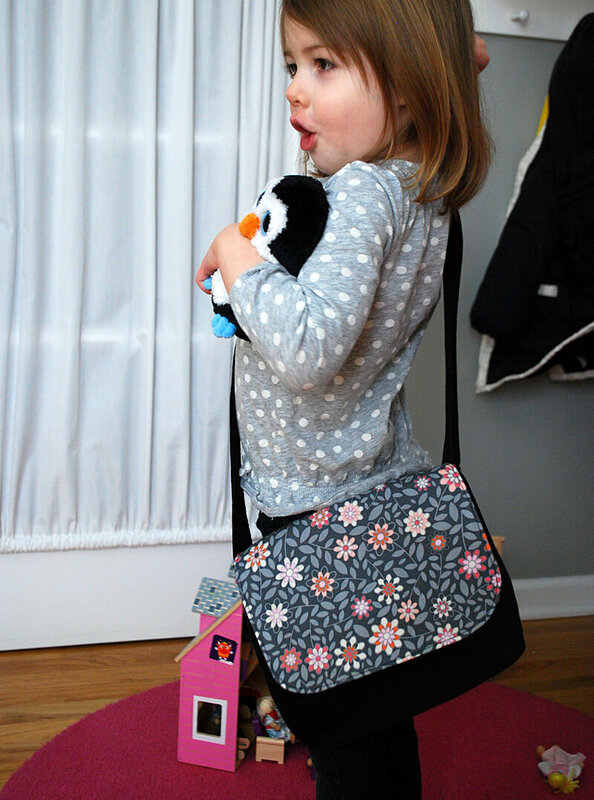 I’m so happy to hear that you’re using it, and I hope your daughter loves her bag! Thanks for posting how to do this wonderful bag, I had started one with some other site and those instructions were making me crazy, yours were simple and easy to follow………Also have question, my lining seem to be slight larger than my bag, is that they way its suppose to be…. 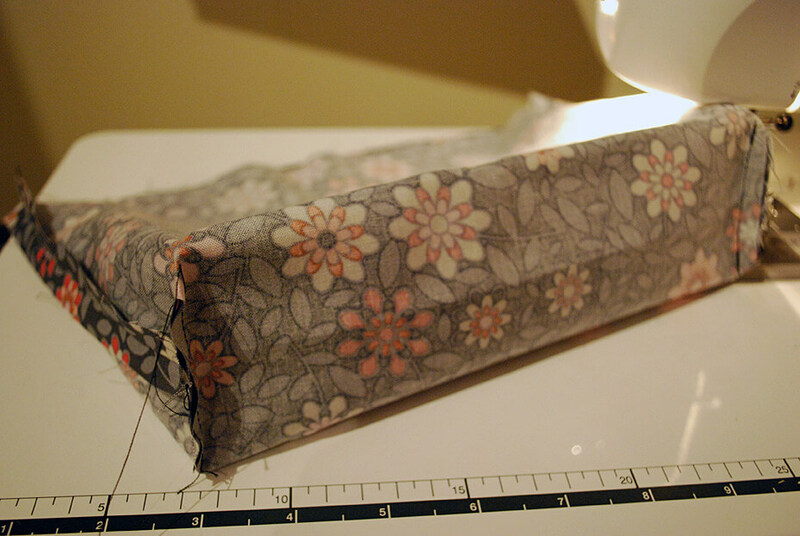 I was very carefuly with measurements and made lining same of outer bag……. Hi Kathleen, thank you so much! I really to try hard to make my instructions simple and I’m glad to hear that this one is working for you. As far as the lining, theoretically it is supposed to be the same as the exterior bag. 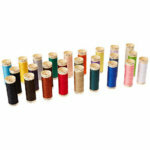 Is your lining bigger width-wise or top to bottom? 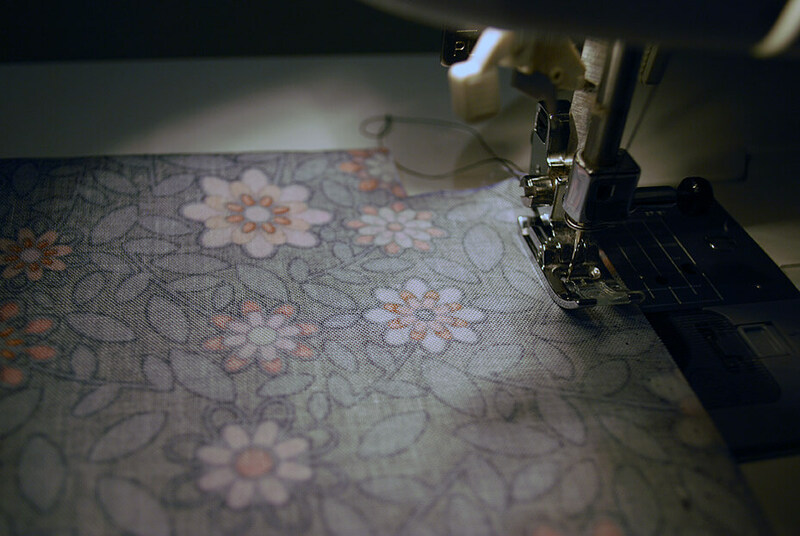 Did you happen to use fusible interfacing on the exterior because I notice sometimes that pulls in the exterior fibers and can make it a bit smaller. Would love to see a picture! You can post it at facebook.com/merrimentdesign and thanks again for stopping by! This was a great tutorial!! I made three of them yesterday for my littlies and they’re adorable. They were going to be a xmas present but Miss 3 spotted hers and well you can imagine what happened 🙂 Thanks for posting. Love this bag! I was searching for a little girls’ bag just like this. Thanks for the great tutorial! Can’t wait to make it up! Hi Sharyn, the final measurements are 9 inches wide x 7 inches tall x 2 inches deep. Hope it works for your niece! This is fabulous, exactly what I was looking for! Thank you! Thanks so much for the pattern. Just finished making one for my son and he loves it. I love it too :). Happy holidays! Thanks for letting me know, An! Made my day 😀 Happy holidays to you too! This tutorial was JUST the perfect size! I needed a pretend diaper bag to go with all the baby doll stuff I made for my daughter. The tutorial was easy to follow. I gave you credit and gave a link back to your site. Just used your tutorial for a Christmas gift. Thanks so much for posting it. It worked out great. 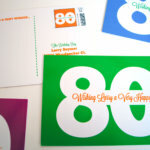 I am highlighting it on my blog tomorrow. Happy New Year! 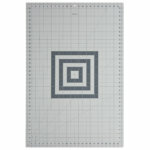 Hi Kaley, yes, you should be able to size it up and the pattern should work fine. You could add some pockets too, interior and maybe an exterior one under the flap. 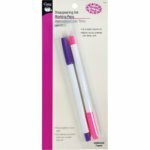 I am not sure about peltex as I haven’t used it but my favorite liner is actually blockout drapery liner because it drapes well and doesn’t feel stiff like typical interfacing. I think your biggest challenge is going to be making sure the straps are sewn on strongly enough to hold heavy books. 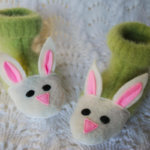 You may want to make them long enough so there’s extra down there (like 2 inches instead of just 1/4 inch like I did) and then sew them on like a rectangle with an ‘X’ in the middle. Does that make sense? Thank you, yes that does make sense! I have never heard of block out but I will look into it, thanks!! Is the pattern a pdf or just the measurements? The link went back to the tutorial. I would love to make this messenger bag for my girls. Did you iron on the interfacinginto the strap? Hi Grace, sorry for the confusion. Just keep scrolling down and the measurements are there to cut for pattern pieces. I didn’t put interfacing on the strap but it’s up to you. If you do choose to put it on, I’d recommend putting it just on the middle 1/2, like leave 1/4 empty, then put interfacing on the middle 1/2, then leave the last 1/4 empty. That way it’s not totally bulky. Can’t wait to see your version! I just finished a pair of these for my kids to take on holidays in the morning. They went together really easily and look just like the pictures. I think they look great. And better still the kids love them. I’ll definitely be making more for gifts in the near future. Hey Roxane, love your comment. I try really super hard to make my tutorials detailed and easy to follow so it makes my day to hear that it worked for you. And I hope your granddaughters like their new messenger bags! I am making a hunting themed messenger bag for my grandson to carry his Bible to church. Gave my granddaughter a Vera Bradley one. Now of course she wants a messenger bag to put her Bible in too. Will make them all one for Christmas! 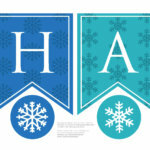 Your pattern was so easy to use and the tutorial very easy to follow. Thanks so much for sharing it with us. I have placed it on my Pin board on Pinterest. Hi Cheryl, I love that story! Thanks for the feedback on the pattern and also for the pin. If you want to share any of your own photos of your bags post them to facebook.com/merrimentdesign and I’ll share them with the group. 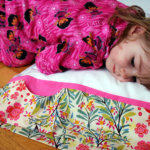 Also you might want to try my pillowcase with secret pocket tutorial for nighttime treasures – it makes a great gift! I’m new to sewing so I hope you can spell something out for me. 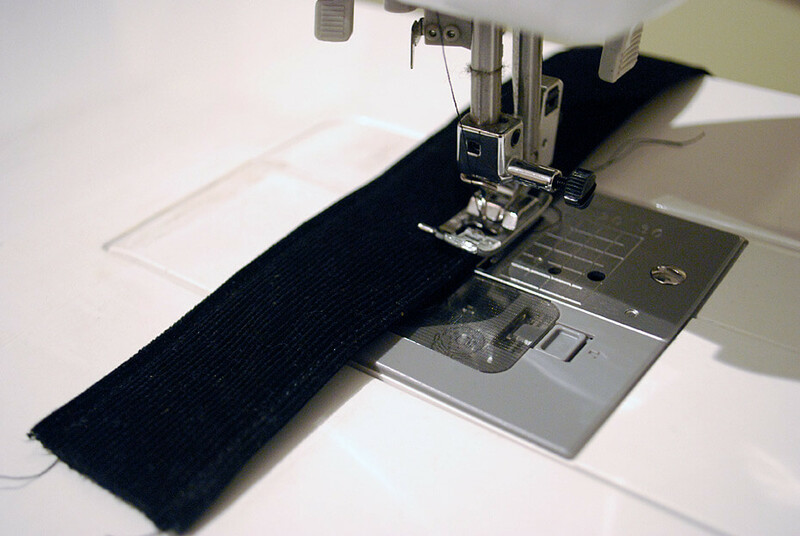 In step 5, is the strap being sewn to the wrong side of the outside bag or to the right side of the outside bag? My daughter is dying for me to finish one of these for her! Hi there this bag looks great and I would like to try this but I am having trouble finding the pattern. Help please =) Thanks in advance. Love, love, LOVE!! Thank you so much! I’ve checked out a bunch of kid-sized messenger bag tutorials, but this one is by far the easiest (and cutest) I’ve found. 🙂 A bit too small for my needs (this would be more toddler-sized) because I want to make one for my 8-year-old’s dance bag, but your measurements and directions are clear enough I’m going to attempt to increase the size. Unless of course you want to send me measurements for your adult-sized messenger bag pattern… 😉 Thanks so much for a great pattern and tutorial! I was looking for a cute simple bag to make for a quick present when I saw this design on Merrimentdesign.com. This little messenger bag went together start to finish in 2 hours including an appliqued and embroidered initial on the front flap. It is just the right size for my 4 yr old friend and she loved it. The directions and pictures were clear and easy to follow. Thank you so much. A report: I just completed this bag for my son and I LOVE it! It was simple, your instructions were very thorough and the result is fantastic! I left off the peak-a-boo and any pockets and it took me exactly two hours. I can’t wait to see my son’s face when he gets home from daycare. Thank you, thank you, thank you for sharing your design with us. greetings from Germany, i made this bag of oilcloth for a Boys First day in Kindergarten. But his older sister keeps “borrowing” it, so i had to make a Second one. 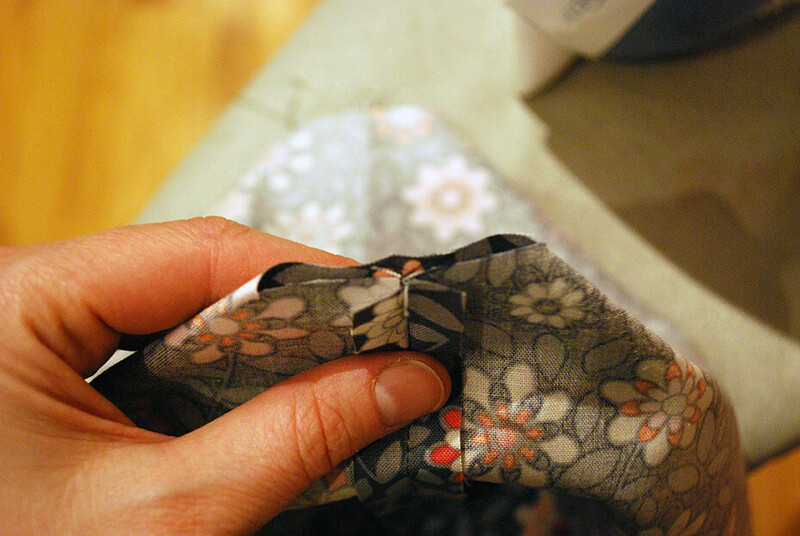 Instead of inner pockets i Sew in one corner a Broad Ring which can hold a Little bottle of water or tea. I like ti. This is pure leather messenger handbags..
Hi! Thanks for your tutorial…I appreciate the time you put into writing all this out. 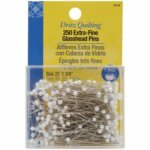 I have two questions (I’m not very experienced at sewing.) Can you explain how to attach the straps? I thought I followed the instructions, but they ended up on the outside of the bag instead of between the two layers. And can you explain how to attach the flap? 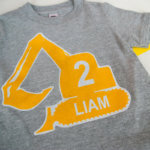 This pattern sewed up nicely into such an adorable product for my little man. I can’t wait to see him with it. I already want to make more. work. Can you please tell me where to find it. Thanks. Hi, Kathy, thanks so much for sharing this pattern. I had made adult messenger bags but your instructions were much clearer. I added an inside pocket, a zip at the request of daughter in law, and stitched through the base seam to secure the lining to the outside. Two denim/pink flower messenger bags ready for granddaughters going abroad for the first time! But it is a critical part of having a balanced life. Some of these tactics will require time, others can literally generate traffic with the flip of a switch. and childish, it graphic looks like the toy we played when we were child. 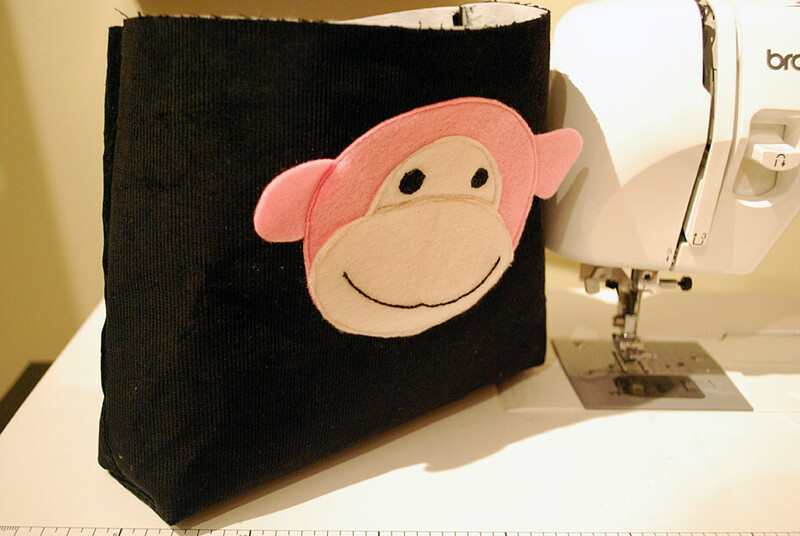 Could this bag be reversible without the monkey applique and velcro? My grandson wants Bobcats and Cheetahs on his. Hi Suzanne, I can’t wait to see them! I’d love to hear any feedback you have about the tutorial too. Happy sewing! Hi, thank you so much for the free tutorial – very generous of you. Is strap sewn inside or outside the main bag body? Is the strap facing up or down when first sewing it onto main bag body. Hi Julia, re-reading that I can see how that part isn’t totally clear so thanks for pointing that out to me. The strap is sewn on the outside of the main bag body, basically think of it as sewing right sides together (just pick one side of the strap to be the right side). Line up the raw edge of the main bag body and the raw edge of the strap, with right sides together, and sew. There’s a better photo of it on my Baby Bird Silhouette Handbag post on the “Make Straps” step right here: https://www.merrimentdesign.com/baby-bird-silhouette-applique-handbag.php Let me know if that makes sense? I’d love to see your finished bag at facebook.com/merrimentdesign or tag me on instagram (kathybeymer). Happy sewing! Thank you for the great tutorial! 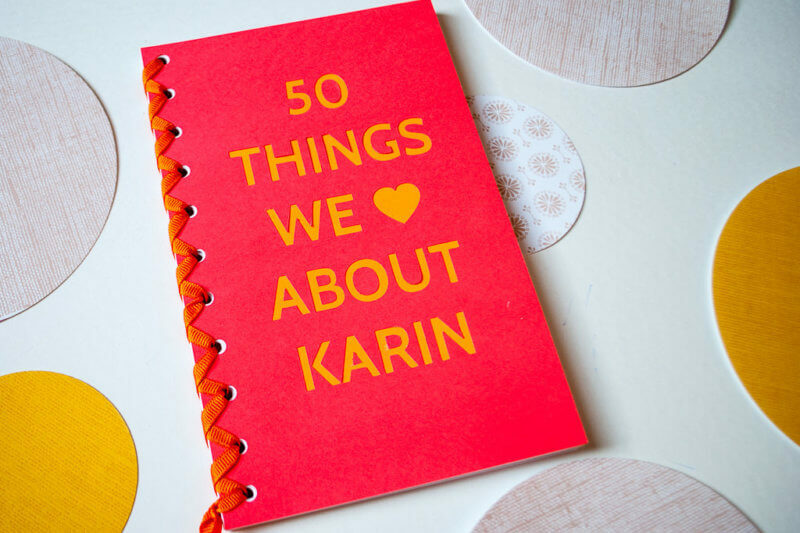 I have been using this as a fun gift for the endless birthdays that my daughter gets invited to now that she’s in school. Since I don’t know what size to make the strap for the children, I made a change so the strap can adjust. And since we like to give comics as gifts, I just tried altering the size to fit a comic and a Barbie (or Monster High doll). 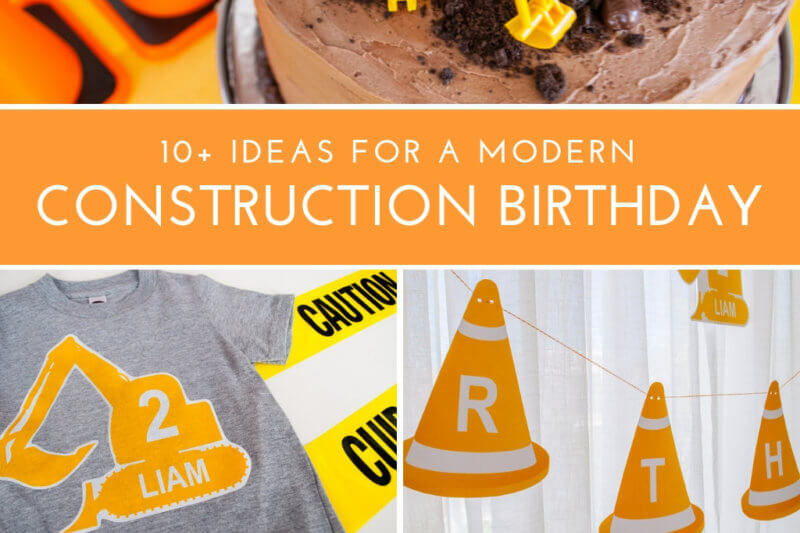 What a great idea for gifts! 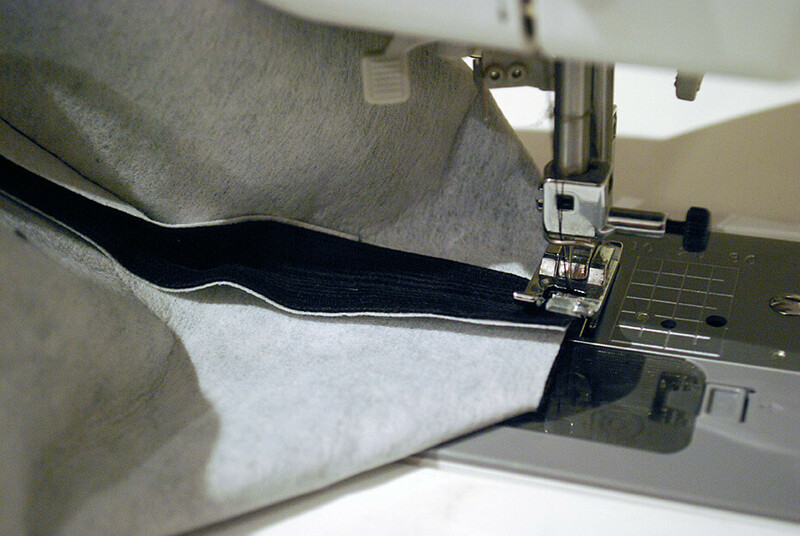 I’d love to learn how to make an adjustable strap …is it easy to do? And I like the idea of a larger size. 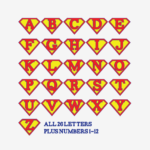 My daughter is 6 now and I need to bump up the proportions …what size do you use? Thanks for sharing these awesome pictures! Good evening Kathy, I’ve ran across your DIY messenger bag and since my daughter is turning 3 tomorrow I worked hard all week (while taking care of the mini and my big girl) to make this pretty bag (hello kitty style) and even tho i’m pretty much a beginner and had a hell of a time making the sewing machine do my bidding I manage to finish it tonight as i’m writing this post and even if there’s a few mistakes (most of them are hidden thanks god) I’m pretty proud of my bag and can’t wait to see my daughter’s face when she will see it tomorrow. Thanks a lot for putting this nice pattern up. A mom who is very proud of her achievement and a bit tired lol. Thanks so much for sharing this! I finally used my Ikea colouring book fabric, and it turned out great! Hi Joyce, I see that you were asking about printing a pattern. Currently, I just have measurements to cut your own rectangle shapes rather than downloading printable pattern pieces, but adding an actual paper pattern is a good idea and I’ll work on that. Thanks for visiting, and happy sewing! Do you recommend using corduroy for the outside of the bag, or will cotton work just as good? Hi Krystal! Cotton would be great for this bag. You may want to add some interfacing to the outside cotton piece. My favorite interfacing is actually blackout drapery lining that you treat like sew-in interfacing (basically, just layer it behind your cotton and pretend the two pieces are just one piece. Drapery lining gives a good, non-crunchy feel that works really well for bags …or you could use iron-on kind too. Happy sewing! Thank you for that info. One more question. 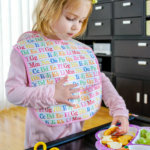 How would you recommend changing the sizing to make one for an adult? Hi Krystal, sorry for the delay. Yes, in theory you could certainly size this up for an adult pattern. I haven’t done it myself, but the kid-sized bag is 9x7x2 so it seems like you could almost double the size for an adult. Let me know if you make it! I’d love to see it. Thanks so much for this tutorial. I was looking for a pattern or instructions to make a child-sized messenger bag to hold art supplies. Now I can get started! That’s great to hear! Happy sewing!